In chapter 7 of volume II, we dive into the mental side of training with Oak Park Mental Skills Coach Jared Cohen. There's a lot of discussion about mindset and mentality out there but few tools for measuring and improving these things with training. We describe some broader context and provide hands on examples for actually developing mental skills. In chapter 3 of volume II, we attempt to answer the question, why don't you get what you want? From fitness goals to business solutions, people often fall short and don't know why. We discuss the importance of focus, authenticity, and structure in helping people get what they want long term. In chapter 2 of volume II, Andy interviews Kenny and Josh about their relationship dynamics and how they change roles constantly. We get into the details of rebranding CrossFit LA as Oak Park and the importance of flexibility in leadership. In chapter 1 of volume II, Professor Lee Brown talks about sports science and mentorship. We discuss his research on power and velocity, overcoming cancer and the death of his son, and his role as a sherpa for hundreds of students and young scientists. After some time off, we're back! The Body of Knowledge returns with Volume II: Sherpas. Kenny lays it all out in the Prologue and explains what to expect this time around. 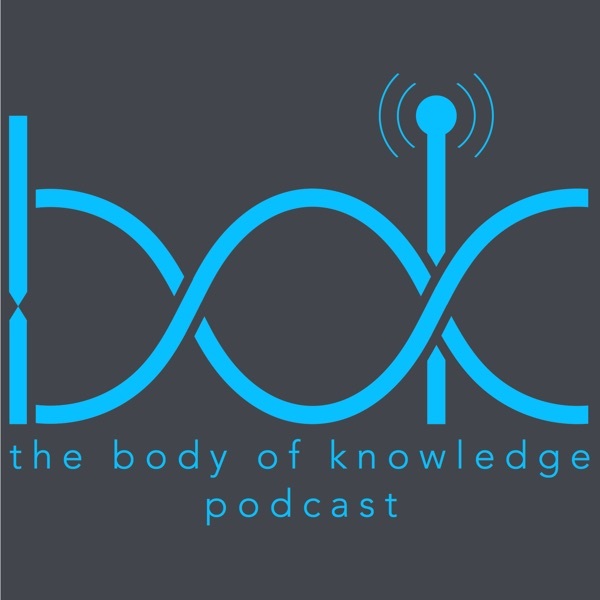 In the epilogue, Kenny, Andy, and Josh reflect on the experience of creating the inaugural volume of The Body of Knowledge. They share some of the back stories and conversations that went into the first nine chapters with a little humor and a ton of honesty. Kenny also reveals the theme for volume 2 which is due out later this year. In chapter 9, we are joined by Linda Rosenstock to talk about healthcare and the various factors that influence it. Linda has 20 years of experience in clinical medicine, she was appointed by the Clinton and Obama administrations to advise on issues in public health, and she served as the dean of the UCLA School of Public Health for 12 years. In chapter 8, we describe the evolution of human performance and the factors that influence it. We show how the modern fitness industry came to be plagued by extreme ideology, persuasion, and isolation. Andy provides context for this conversation with the history of training from the ancient Greeks to the birth of bodybuilding. In chapter 7, Brett Bartholomew joins us for a gripping conversation about conscious coaching. He explains how early struggles with extreme dieting and exercise provided the life experience that would ultimately influence his coaching philosophy. Brett emphasizes the importance of communication, psychology, and trust in relationships. In chapter 6, we address adherence, one of the most critical but least talked about topics in nutrition. Since many people struggle to adhere to eating plans, we focus on what it takes to actually stick to one. Kenny opens with a little reality check then Andy explains the context for nutrition recommendations and a system for individual adherence to any plan. In chapter 5, we dive headfirst into the strength vs cardiovascular training debate. Andy sets the stage by telling the story of Bob Hoffman’s showdown with Dr. Peter Karpovich over this divide in 1940. Following the aftermath, we address our own biases, contextualize the role of adaptation in human performance, and provide some general recommendations. In chapter 4, Michael Blevins joins us for a fascinating conversation about the philosophy of transformation. Michael is known for training actors to play superheroes on the big screen but the path to get there was very unique. He began changing people as a hairdresser then stumbled into training through personal experimentation with physical experiences. In chapter 3, Jack Osbourne discusses becoming a happy, healthy person. He grew up in a world of abundance as a reality tv star and the son of Ozzy Osbourne. Since then, he has sustained major personal growth. Kenny, Andy and Jack discuss autoimmune diseases, changing behavioral patterns and using physical training to fight the neurological effects of aging. In chapter 2, Kenny shows the value of context through stories about growing up in a fitness business, playing sports, performing standup comedy, and becoming a human performance coach. Kenny’s life experience has significantly contributed to the development of the Mastery Method, a philosophy for teaching life lessons through the template of physicality. In chapter 1, Kenny and Andy dive deep into the science and applications of physiological adaptation. Research has shown that people can significantly change the composition of their muscle fibers and the magnitude of such changes can be shockingly high. Human beings can alter their physiology with exercise and nutrition far more than previously believed. In the prologue, we introduce Kenny, Andy, and Josh who each tell their side of the show's origin story. They individually explain their motivation for launching the project and provide context for what's to come in volume 1. The first volume focuses on how human beings can change their minds and bodies to improve overall quality of life.